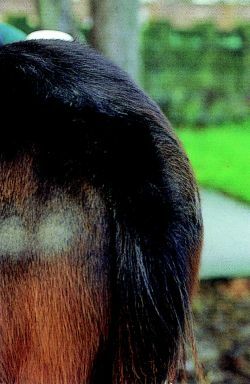 1. infection with oxyurids such as Enterobius vermicularis. 1. infection with an oxyurid such as Enterobius vermicularis. Infection with nematode parasites of the genus Oxyuris. the disease caused by infestation with oxyuris nematodes. Manifested by intense irritation of the perianal region causing rubbing and biting at the tail.